--> That will be the Secura facial and hair steamer!!! This has unseated my now-sold carmen hooded dryer. I bought that baby and got it shipped as part of my August imports. Cost me $79 on amazon. The funny thing is I didn't/haven't unboxed it since its arrival last week! Sigh! I can't explain why but I will be using the facial steamer next week. Once I get it over to my place, I'll be using that for my deep conditioning sections. Right now, I have only one hair tool left to purchase - flat iron. After this, I've taken a pledge to make 2014 a no- buy year or should I say, less buying yea lol- won't commit myself! 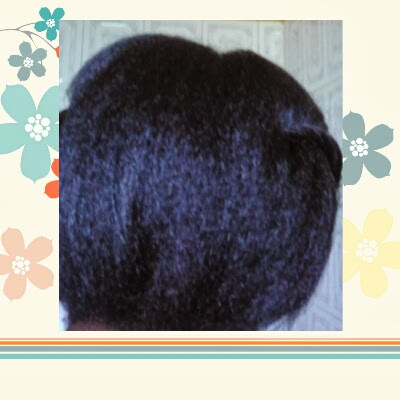 I wasn’t ready to trim regularly and I figured that I am going to get a trim with every relaxer touch up. So I didn’t list it on my regimen. Product Review: Keracare Humecto Creme Conditioner! 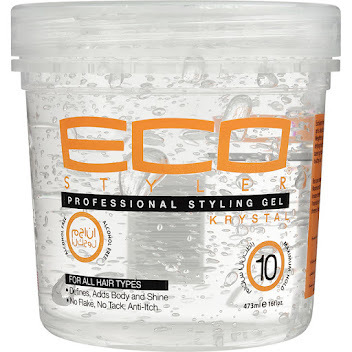 Want to know my thoughts about the Keracare Humecto Creme conditioner? 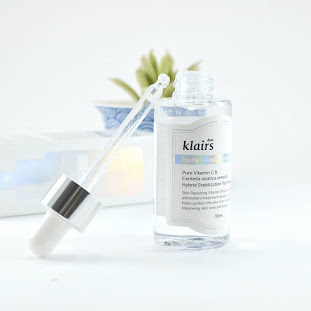 Watch my review video! The wash day started on Friday; she shampooed and deep conditioned with dark and lovely ultra cholesterol. Yesterday, she rewet the hair since she wanted to get it flat ironed. It was also an opportunity to test my latest hair tool- Conair 3 in 1 blow dryer! --> July relaxer here. Well, that's actually the name of the brand of hair I used for the twist!After talking a friend about my hair situation, she took me to her stylist who turned out to be quite competent. First, to deal with the aches and pains, we went through which style would be the least stressful during daily care. She did something unusual- she pre-determined how she would style whatever hair style I picked so I don't touch the style at all! I opted for twist as it's easy to manage. For the hair to use, I made a mental note of all my braids and realised that the particular type I always used turned out to be too heavy for my head. I mean those brands were very thick so when used for braids, they are put into hot water to soften it. That soaking up made the style heavier as it took days to dry. I asked her if she had a much lighter hair like Marley braids and she recommended the Darling twist. No hot water dipping! --> At last! My review of the hyped kuza cholesterol! --> Actually, I co-washed Yesterday in the night.I wet the hair throughly in the sink, applied Forever Living Ph balanced conditioning rinse. Moisturized and soft hair galore! Did a tea+burdock root rinse and left on for 5 minutes, rinsed once with cold water, applied Kuza cholesterol and took my bath during which I rinsed out the Kuza. To prevent shrinkage, I pulled the hair into a ponytail for bedtime. Stay Tuned for more on how I styled the hair!! --> I want to share my day-to-day hair care activities with you, especially, new ladies on the healthy hair journey.This morning, I put the hair into 4 sections. With each part, I further divided it into small sections to make application of my "moisturizing mix" easier ( will share what that mixture entails tomorrow). I used the pads of the fingers to apply the mix, starting from the root. Afterwards, I massaged the products into the hair whilst finger combing. To style the hair, I simply tucked and rolled (see the tutorial here). Product Review: Queen Helene Cholesterol With Ginseng! You maybe familiar with Queen Helene cholesterol for your hair but do you know there is one with ginseng called Queen Helene Cholesterol with Ginseng? 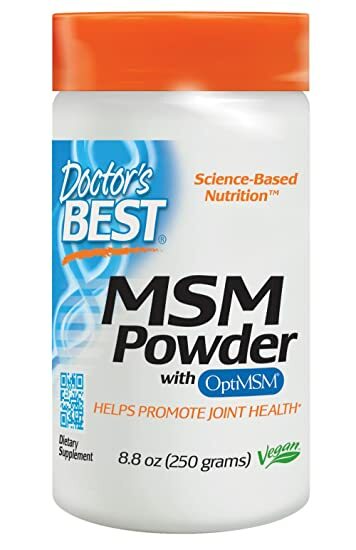 I purchased the one with the ginseng to try and after a few weeks, I think it's time to give you my review. In the video, I talk about the price, the consistency, how I use it and how my hair responds to it. Please subscribe for more videos! I think my hair appreciates the current thickness though it can be frustrating caring for it. Today's style is the result of a twist and curl. Yesterday,. around 4pm,.I decided to do a twist out. I parted the hair into small sections. 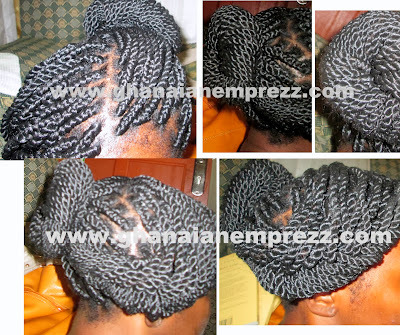 To twist, I dampened a section with water, braided the root and twisted the ends of the hair and set on perm rods. I covered the set with a beanie and this morning, as I took down a rod, I applied some almond oil to my finger tips before unraveling the twist. --> Since I've come to terms with my hyper sensitive scalp, I took down my cornrows that I kept for my wig through the week! As if my head sensed my unwillingness to wash it this week, it started throbbing on Thursday night. I'll be seeing a doctor for a check up/ explanation for this hyper sensitive scalp and my headache each time I braid. Anyway, am glad I listened to my hair because after washing it, the headache seized. --> I've had this in mind for a while now and didn't want to say much till I was sure of my decision. I read Abibah of Naturallybeautifulgh post on her henna treatment and again, some words re-echoed what I'd been thinking of! After my henna, I loved the colour deposit. It felt good to have moved from my conservative self to an adventurous person; I wasn't hooked to the dark hair and I cared less about what others would think about the new reddish tone! Fast forward to 5 months, I found out something in the most painful way. Whilst the henna had softened my new growth back, making it manageable till relaxer day, it had also further softened my already relaxed hair!!! Now, don't jump into conclusions about your henna use. My thin 4-5 inches had received more of the henna because I didn't focus on the roots; I wanted the reddish tone on the ends. 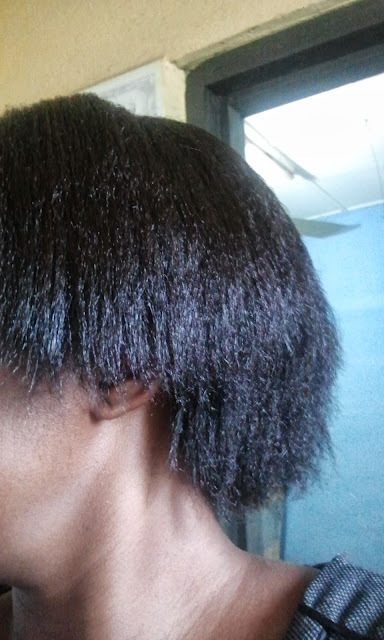 My already straight hair had become too straight; much like overprocessed relaxed hair. 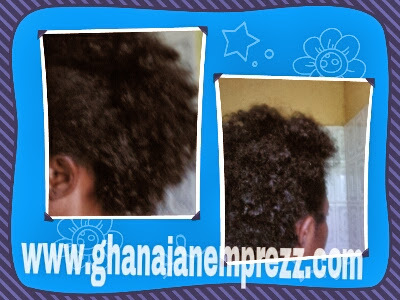 #GHEZ Healthy Natural Hair Feature: Meet Damaris !! --> Our feature today is Michelle who is a Ghanaian and liives in Ghana! 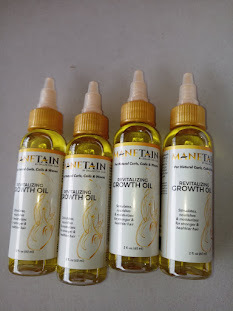 How and Why did you start your hair journey? I started my hair journey by mistake. A colleague from Senior High School had a blog and she interviewed ulovemegz. T thought her hair was gorgeous so I followed the link to her channel and that changed my hair story forever. I had long hair before University but when I got there, I got into the craze of cutting and always straightening hair so whenever my hair grew, scissor happy stylists will cut it all off. --> This wash went down in the night because I was feeling too tired from the trips I made on that Thursday. 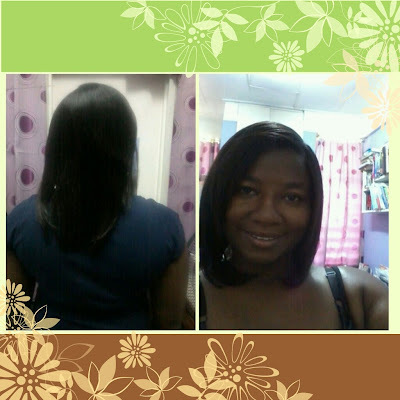 --> Hi ladies, hope you are all faring well!Am in the 12th week after my last relaxer in July. I got some new products as I soon as I got home because time isn't on my side at all. I needed to get things done asap. 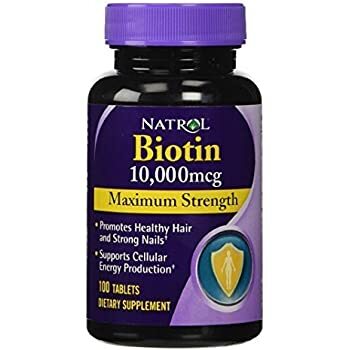 I got me some Biotin and Skin, Hair and Nails vitamins. I'll be alternating them because the latter contains folic acid which is one of the vitaimins I ought to have in my system daily (Killing two birds with one stone). 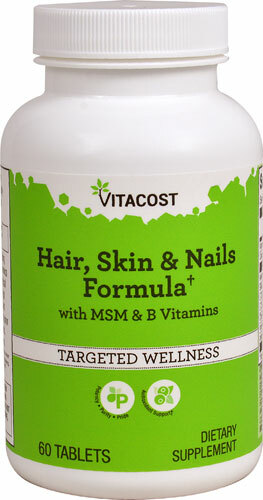 The Skin, Hair and Nails vitamins contains 3,000mcg biotin whilst the biotin is 5000mcg! I've been taking cod liver oil with evening primrose so my hair, skin and nails is very crucial. I might restock that more than the biotin- still thinking. I'm grateful for what you ladies have been doing for me. I appreciate your support as you visit the blog regularly. Hmmmmmm, new month, new goals? See my September goals here. I'll be discussing what worked or failed last month alongside this month's goals. *My new tools haven't yet arrived so the wait continues. However, I'll be bringing my hooded dryer to my current place so I can roller set often. Bringing my flexi rods for that.